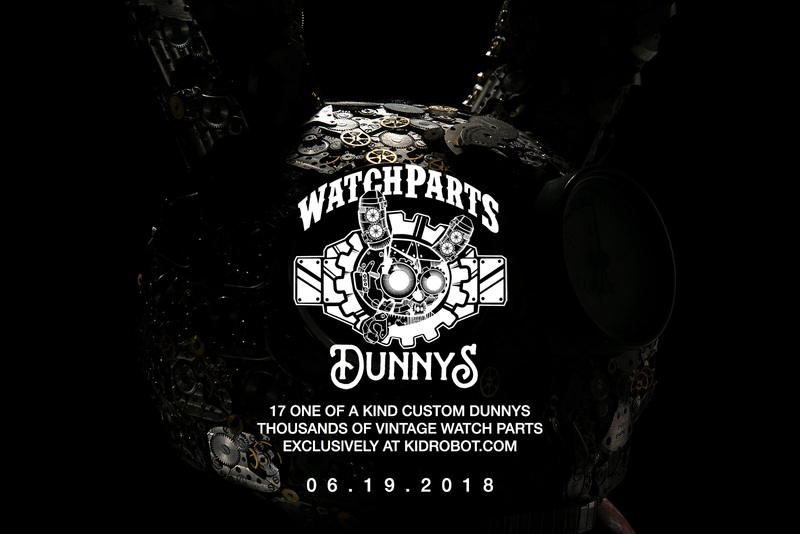 Kidrobot today announced a new Watch Parts Dunnys Custom Series will be coming exclusively to Kidrobot.com next week. The series by Dan Tanenbaum will feature 17 one-of-a-kind custom Dunnys encrusted in thousands of vintage watch parts. Each of these masterpieces takes hundreds of hours to complete. This series will blow your mind so stay tuned to Kidrobot social for exclusive reveals leading up to Tuesday June 19th, 2018 at 10:00 MST.